WordPress management and marketing support for busy business owners, entrepreneurs, and professionals in service industries - local and online. You'll Never Be Alone Again, We Have Your Back. Don't waste valuable time trying to Google answers to your questions. You have a WordPress expert only an email away ready to answer your questions, provide you with advice and information catered to your business and website. Whatever question you have, whatever issue you're experiencing or whatever you're trying to do in WordPress - we know it and we've done it. Tap into our experience and knowledge. The most personalized WordPress support you'll find. You deserve to run a profitable business, not a break-even business. Don't make mistakes that waste your money and resources, impeding your business growth. Your Business Guardian helps you make informed decisions, with their marketing expertise and a deep knowledge of your business. We listen to your needs, we understand your business. You don't always have the resources to get help with marketing and sales. It doesn't have to stop you! 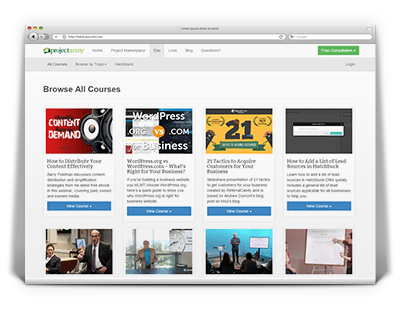 We provide you with marketing and business training resources - original, curated and licensed - to help you learn how to do something yourself and improve your business. We never leave you in the dark, alone without help. 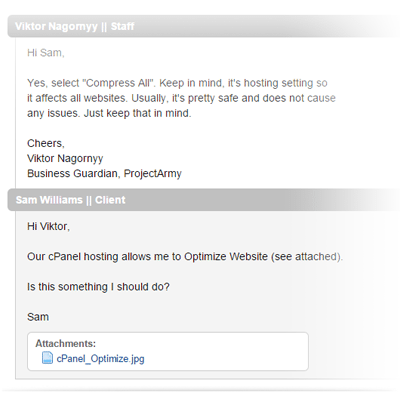 I was so glad to find Viktor Nagornyy's ProjectArmy services through the WordPress forums. Viktor has gone above and beyond to provide me with the absolute best customer service, technical expertise and marketing services. I highly recommend Viktor and ProjectArmy, and I will use their services again for all my WordPress and marketing needs. If you're not sure about what help you need, if you're overwhelmed with WordPress and marketing or maybe you want to get your questions answered. Simply schedule a strategy session with a WordPress and marketing pro whose core purpose is your success.